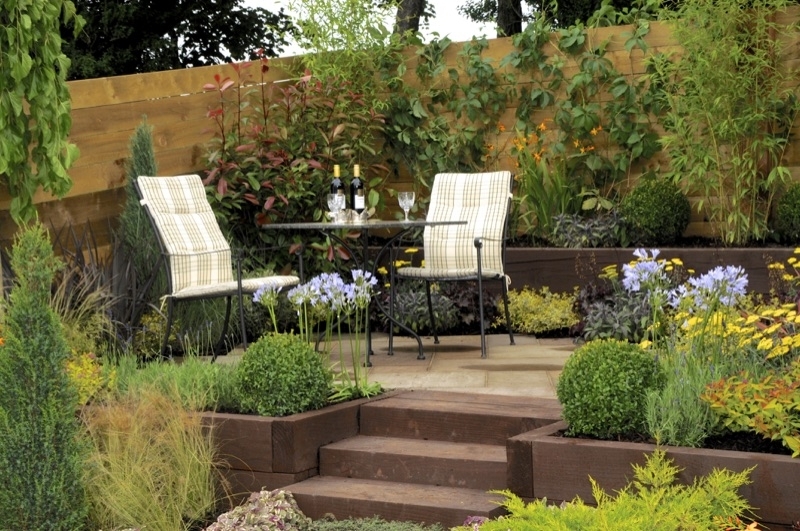 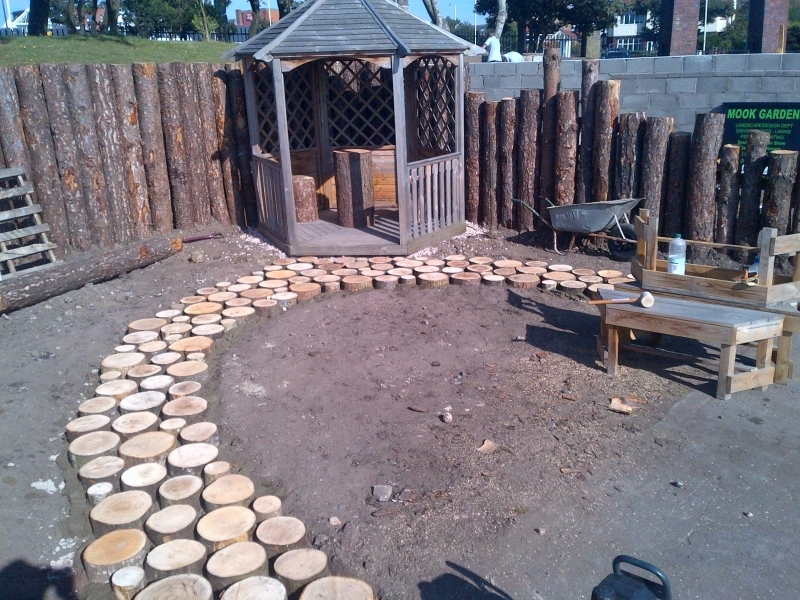 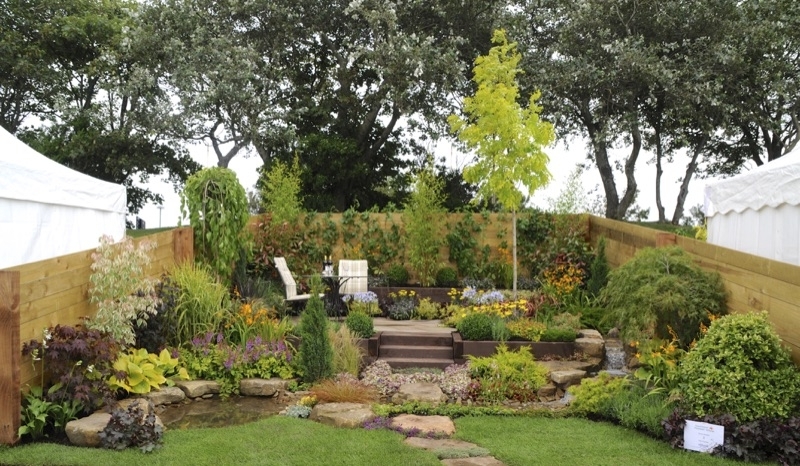 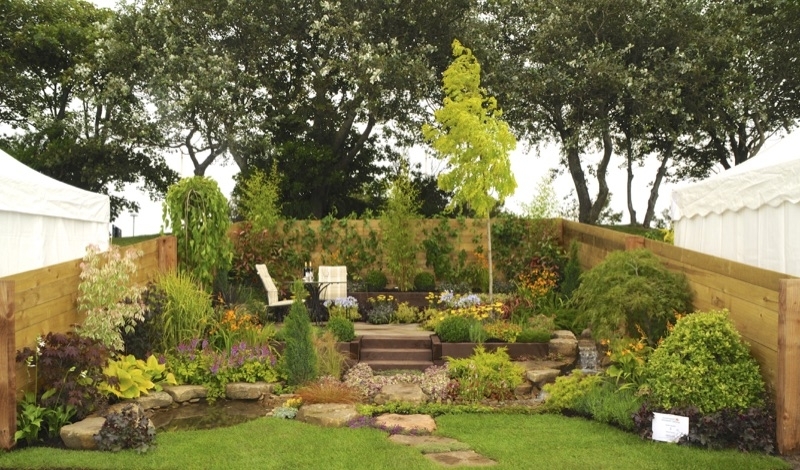 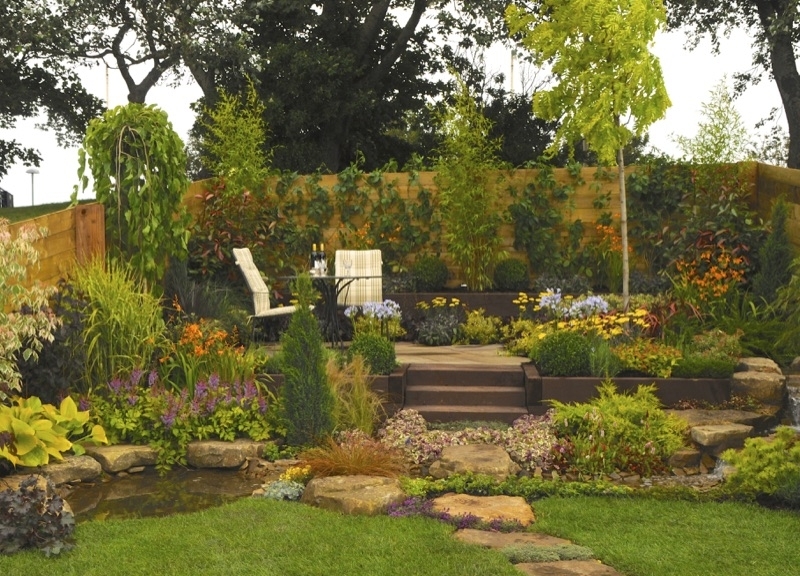 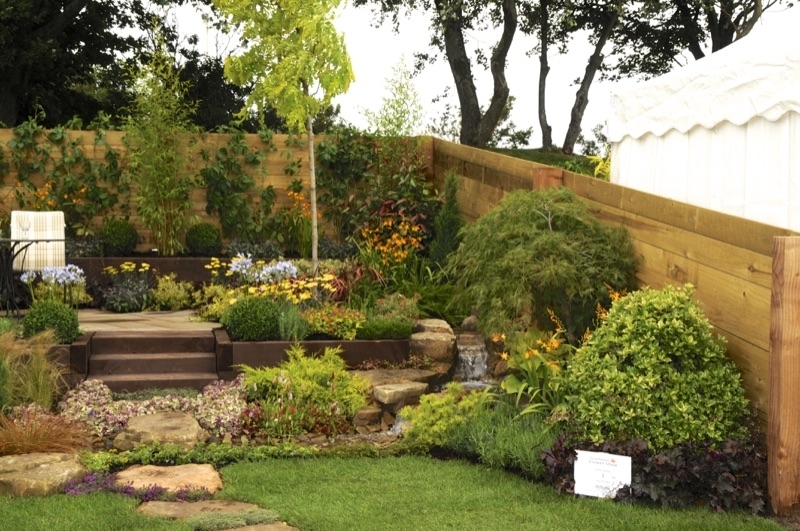 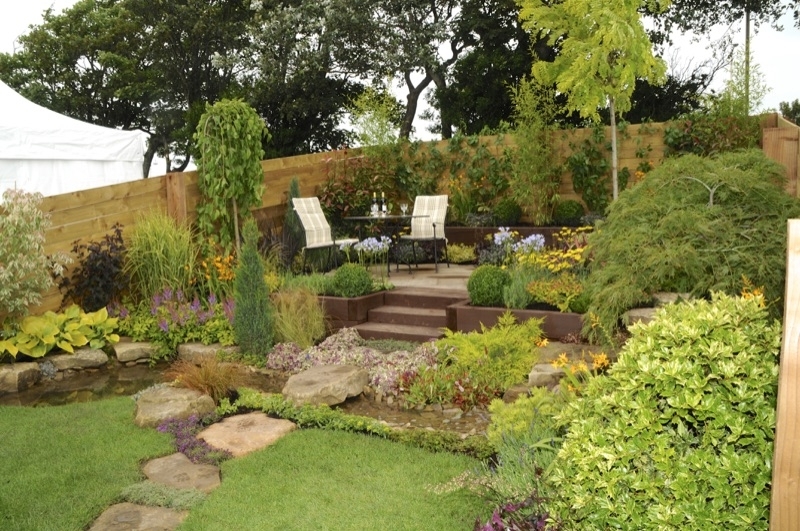 When looking for ideas for 2013, Glen wanted to incorporate a garden around a waterfall as it was one of the few major aspects we had not tackled for a flower show garden. 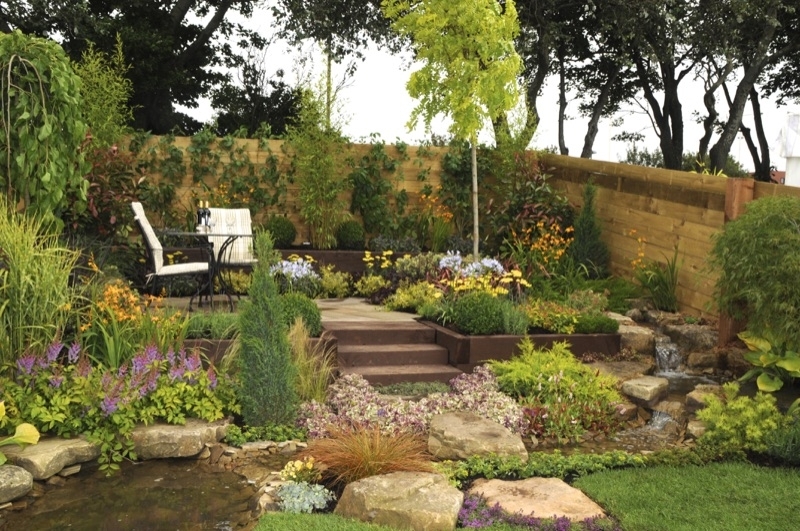 After some design discussions the garden would be a two tier design with the waterfall intersecting the garden at a diagonal. 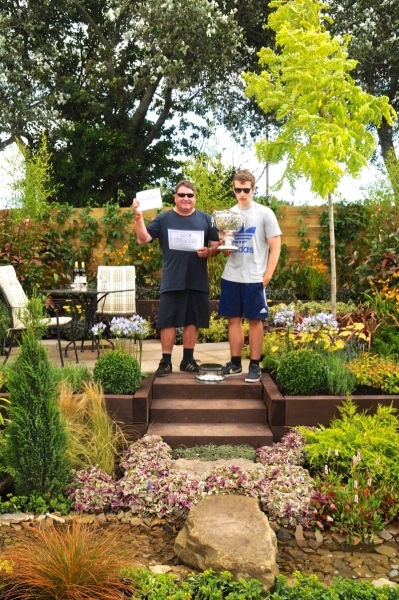 A fantastic array of colours and impeccable planting and construction gave us Large Gold and Best In Class for the second time.